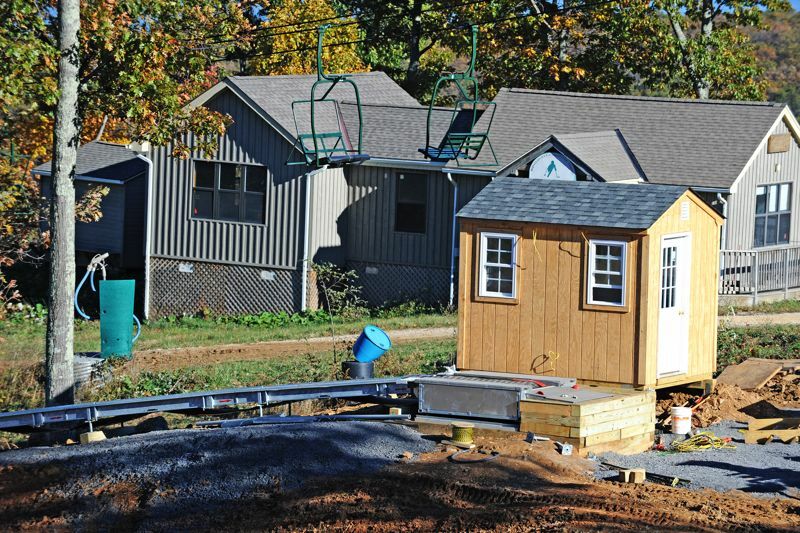 Photos By Paul Purpura : ©2010 www.nelsoncountylife.com : A new magic carpet (conveyor lift) in the Beginner Terrain area in front of Skyline Pavillion at Wintergreen Resort. Though fall is still very much in the air, winter is not far behind and that means ski season at Wintergreen Resort. Resort crews have been busy all summer long getting ready for the upcoming snow season. One of the recent improvements was a new conveyor lift or magic carpet as it’s sometimes called. 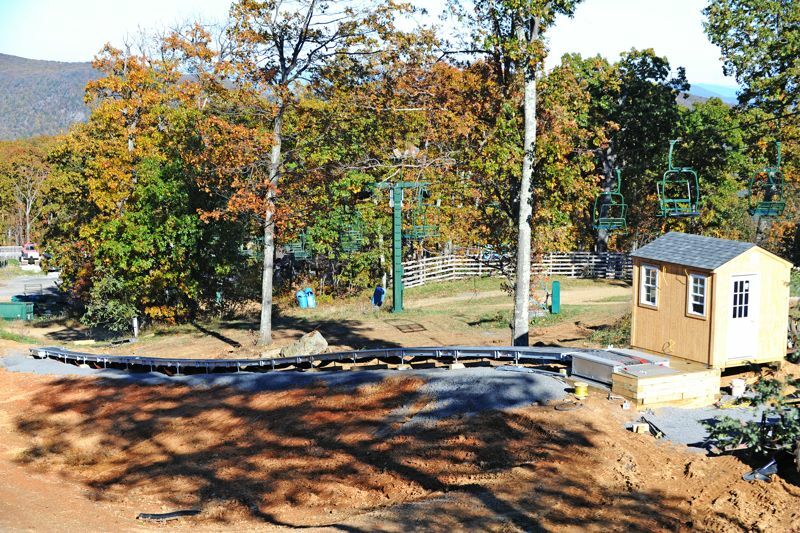 “It will be in the snow sports learning area and will make learning to ski or ride a lot more fun,” says Betsy Dunkerton with Wintergreen Resort. NCL’s Mountain Photographer, Paul Purpura, is also a ski instructor at the resort. “It will make teaching so much easier because what we often do when beginning a lesson is take the students all the way down the hill to start in nice flat terrain. We have them put on their skis, or snowboard, and get used to the feeling of sliding. With the magic carpet we won’t have to walk the students up the hill so they can slide down. Having to walk up the hill is difficult at best and is not much fun for the student. And of course we want skiing to be a pleasant experience,” Paul says. In addition to the new conveyor system, the resort is adding additional snow making capability. “We’re also installing 40 high efficiency Rubis guns (snow guns) which should improve efficiency, coverage and provide more early season terrain,” Betsy continues. Be looking for more updates as we get closer to ski season!